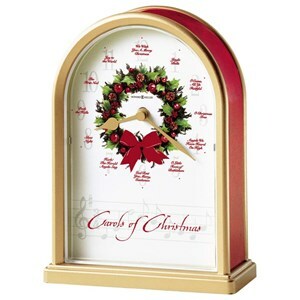 Provide your home with a nice touch by adding this mantel clock to your decor. The piece carries a vintage mahogany finish on select hardwoods and veneers with an intricate oval inlay of variegated maples and madrona burl. 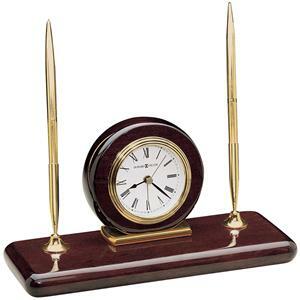 The warm white dial features black numerals and hands as well as a brass-finished bezel. 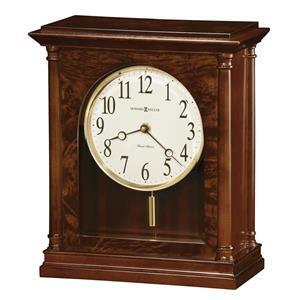 Plus, fluted columns with wooden column caps grace each side while key-wound, Westminster chime movement comes with chime silence option and durable bronze bushings. 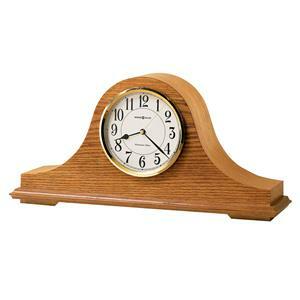 You'll have a beautiful addition to your home with this wood mantel clock. 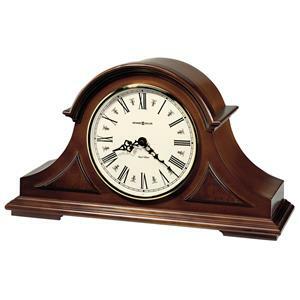 The 613 Barrister Mantel Clock by Howard Miller at Stuckey Furniture in the Mt. Pleasant and Stuckey, South Carolina area. Product availability may vary. Contact us for the most current availability on this product. 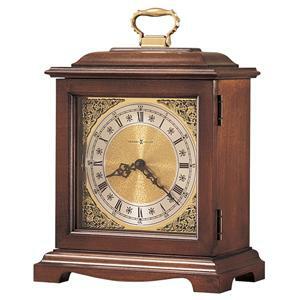 Chime Description Key-wound Westminster chime movement comes with chime silence option and durable bronze bushings. 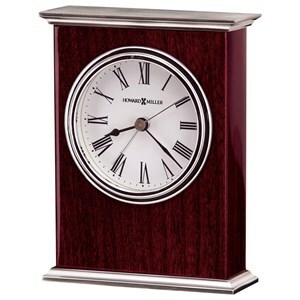 Wood & Finish Mahogany finish on select hardwoods and veneers. Case Detail Intricate oval inlay of variegated maples and madrona burl. The 613 collection is a great option if you are looking for furniture in the Mt. Pleasant and Stuckey, South Carolina area. 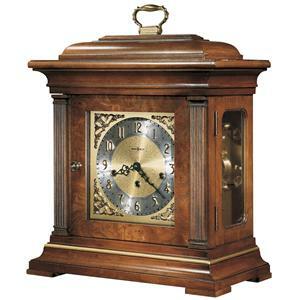 Browse other items in the 613 collection from Stuckey Furniture in the Mt. Pleasant and Stuckey, South Carolina area.